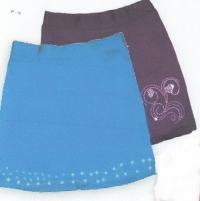 Description: Moisture wicking sports fabric will keep you cool and dry, made of 92% easy-care polyester and 8% spandex. The skort has two front pockets and two back pockets and has self-fabric attached fitted shorts for comfort. Rhinestones can be placed in any design.